In the conflict zone in the Donbas Russian-terrorist forces continue to conduct active offensive operations and shelling on the positions of Ukrainian troops. The most difficult situation is in the area of ​​Donetsk, Debaltseve, Mariupol. 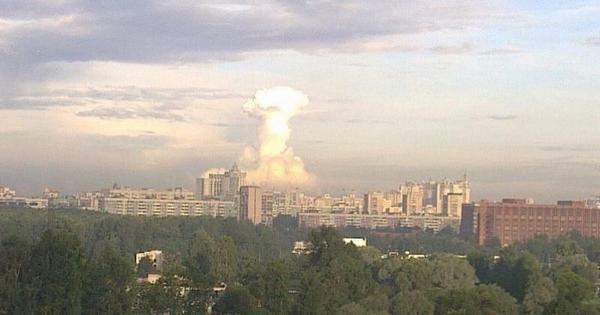 Incredible image of the chemical plant explosion in #Donetsk this morning. The enemy does not stop trying to seize the airport in Donetsk, it is under continued attacks and attempts to storm it. Russian troops are pulling tube artillery [mortars] and MLRS to the airport. The rotation of troops has been observed in the area of the Spartak Airport, while in the Spartak Sports Center there is active equipment going into hidden positions, an expected arrival of new units, including units of the Russian army. Near Donetsk, 2 batteries of the Russian 240-mm mortar 2S4 Tyulpan, or “Tulip” have been recorded being moved. By Panteleymonivka (Donetsk region), a maneuverable armored group of Russian troops has been transferred. Russian-terrorist troops are being trained to centralized counter-battery battle against the artillery units of Ukrainian troops. Russian experts have arrived to organize this type of action. In the DNR [Donetsk People’s Republic] the decision to mine “dangerous” sites (in terms of a possible Ukrainian offensive) was accepted. At the moment, they have created a centralized reserve of mines transported from Russia for various purposes, including to conduct sabotage and guerrilla warfare. Active shelling on the positions of Ukrainian troops in the area of Mariupol and also civilian targets have been observed. There is an accumulation of Russian-terrorist forces in the coastal sector. Russian troops are massively disguised amongst the “militia.” Near Novoazovsk a “training center” has been created for the training of local “militant” groups which operate in conjunction with the Russian army units. 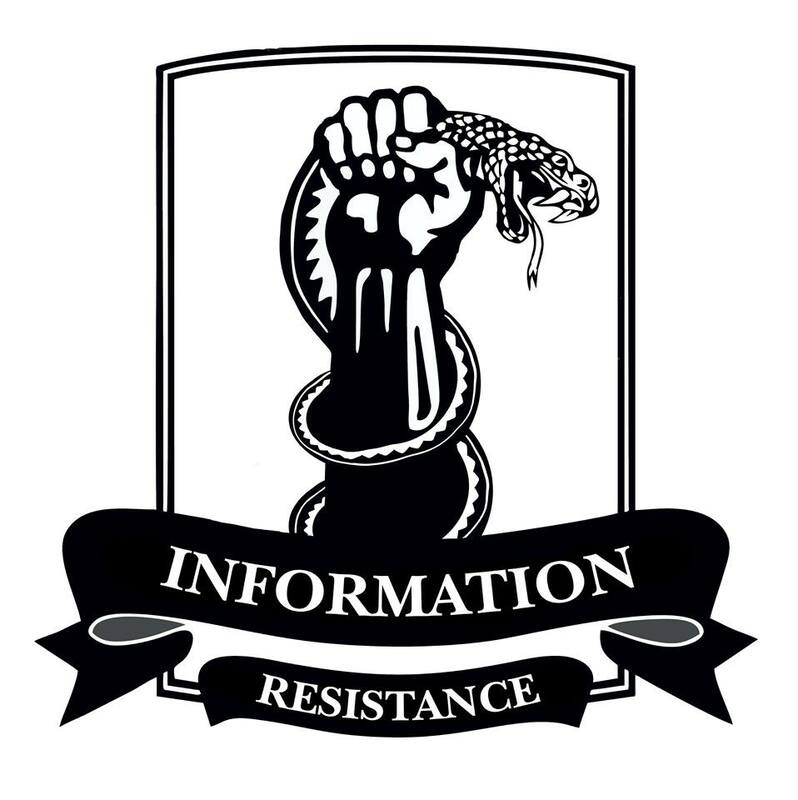 This entry was posted in Dmitry Tymchuk, English, English News, South&Eastern Ukraine, War in Donbas and tagged #ArmUkraine, #RussiaInvadedUkraine, #RussiaViolatedCeasefire, #SaveUkraine, Dmitry Tymchuk, Information Resistance, Ukraine. Bookmark the permalink. I am deeply saddened about what has happened in the last month, and I wish Ukraine all the luck in the world and I hope help from our western governments so that this nightmare can end. Keep up the spirit. We are many who are with your cause. I think I get the mist of this: Ukraine and the pro-Russians agreed that all foreign fighter would leave the occupied areas. Now the foreign fighters (Russians) have move to unoccupied Ukraine. It’s a manipulation to take advantage of the deal while still honoring the deal. You can’t negotiate with a Hitler or a Putin.